Our Insights feature is a unique algorithm that shows your transactions in real-time. 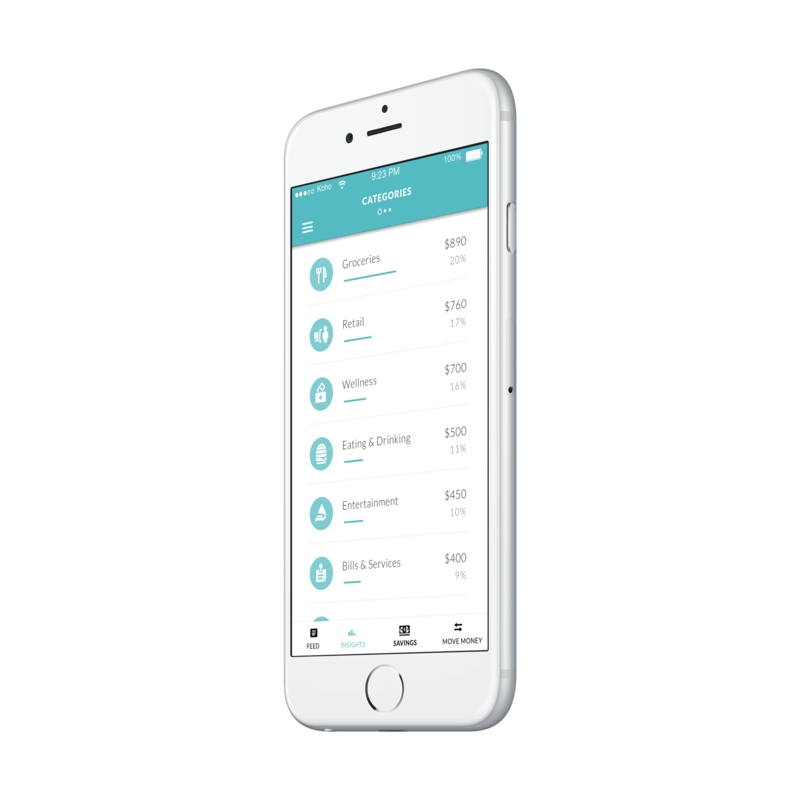 KOHO will categorize your spending so you can instantly see a breakdown of where your money is going. This is especially helpful for those of us trying to stick to a budget 💸 Head to More > Insights to see this in action. How can I see exactly where I spent my money? With Insights, you’ll be able to see a breakdown of all the categories of your purchases, your spending habits per month, per week, per day, as well as your average and typical spend. What if my transaction was labelled incorrectly? Our algorithm looks for keywords in a merchant’s store name to figure out the best category to list it as, however, we realize that some things need a little bit of customization. If you notice any one of your purchases were categorized incorrectly (either on your Activity or Insights), simply click into the transaction item, tap on the category icon of that purchase, and select the correct category. You can also create your category by selecting ‘+ADD NEW’ when you click into your transaction. How can Insights help me with budgeting? Checking your Insights on a weekly or monthly basis is a great way for you to better understand how to set realistic goals and budgets for yourself. While we are working on our own budgeting tool within KOHO, we recommend using KOHO for at least one month to get a feel for how you’re spending your money. Start by monitoring where and how you’re spending your money on a weekly or even monthly basis before creating a budget. That way, you’ll feel less guilty about going over your budget when it likely didn’t suit your lifestyle in the first place.